Sam Smith, the red-hot, 21-year old English singer/songwriter, has three songs on this week's Hot 100. Naughty Boy's "La La La," on which he is featured, drops from #31 to #33 in its seventh week. His own "Stay With Me" is the week's second highest new entry at #68. And Disclosure's "Latch," on which he is also featured, jumps from #100 to #90 in its third week. Smith has landed two #1 hits on the U.K.'s Official Singles Chart in less than a year. "La La La" reached #1 last June. "Money On My Mind" hit #1 in March. "Money On My Mind" and "Stay With Me" will both appear on Smith's first studio album, "In The Lonely Hour," which is due May 26. Smith won the 2014 BRIT Critics' Choice Award. He also topped the BBC's Sound of 2014 poll. This week's big chart news is Pharrell Williams's "Happy" logging its seventh week at #1. I covered this, and the rest of the top 10 action, in a Chart Watch blog that we posted Wednesday. If you missed it, here's a link. This blog is a look at key movers and debuts below the top 10. 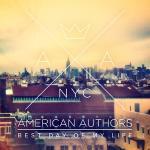 American Authors's "Best Day Of My Life" jumps from #12 to #11 in its 21st week … "Loyal" by Chris Brown featuring Lil Wayne & French Montana or Too $hort jumps from #14 to #12 in its 12th week … Justin Timberlake's "Not A Bad Thing" jumps from #20 to #14 in its sixth week. The song is vying to become Timberlake's 22nd career top 10 hit. (This tally includes seven hits with *NSYNC.) … The Chainsmokers's "#Selfie" drops from #18 to #20 in its sixth week. The song has climbed as high as #16. (Digital sales rank: #10, 79K). "This Is How We Roll" by Florida Georgia Line featuring Luke Bryan jumps from #26 to #22 in its ninth week. The song is #1 on Hot Country Songs for the fourth straight week. Another Bryan song, "Play It Again," may soon overtake it. "Play It Again" jumps from #40 to #26 in its fourth week. (Digital sales rank: #8, 88K) … Another country hit, Brantley Gilbert's "Bottoms Up," jumps from #28 to #24 in its 16th week. Christina Perri's "Human" jumps from #49 to #32 in its ninth week. It's the third song with this title to crack the top 40. The Human League took a song with this title to #1 in November 1986. The Killers's "Human" reached #32 in 2008 … Paramore's "Ain't It Fun" jumps from #41 to #34 in its sixth week … Dan + Shay's "19 You + Me" jumps from #54 to #42 in its 14th week. The duo's debut album, "Where It All Began," enters The Billboard 200 at #6 this week (and Top Country Albums at #1) … MKTO's "Classic" jumps from #65 to #47 in its eighth week. Pitbull has two songs streaking up the chart. 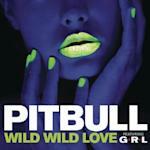 Austin Mahone's "MMM Yeah" (on which he is featured) jumps from #62 to #51 (a new peak) in its seventh week … Pitbull's own hit "Wild Wild Love" (featuring G.R.L.) leaps from #82 to #57 in its sixth week … "Fancy" by Iggy Azalea featuring Charli XCX jumps from #70 to #56 in its fifth week. 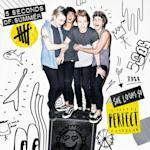 5 Seconds Of Fun's "She Looks So Perfect" is the week's top new entry at #60. The song hit #1 last week on the U.K.'s Official Singles Chart. The Aussie group's EP of the same title enters The Billboard 200 at #2 (and Top Digital Albums at #1) … Rixton's "Me And My Broken Heart" leaps from #87 to #65 in its second week … Calvin Harris's "Summer" jumps from #84 to #72 in its third week … Tiesto's "Red Lights" jumps from #86 to #75 in its fourth week … "John Doe" by B.o.B featuring Priscilla jumps from #89 to #76 in its second week. "Or Nah" by Ty Dolla $ign featuring Wiz Khalifa & DJ Mustard re-enters the chart at #95. The song has climbed as high as #91 … Kongos's "Come With Me Now" debuts at #98. It's from the group's second album, 2012's "Lunatic."